One of the most popular renovations in recent years involves installing radiant floor systems. These comfort devices are an amazing alternative to force-air heating systems. They provide an enhanced level of comfort for a fraction of the cost. 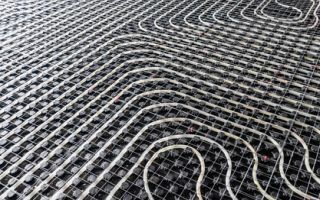 At Precision HVAC, our heating contractors specialize in working with radiant floor heating. We can install, maintain, and repair these fantastic systems for both commercial and residential property owners. If you are interested in installing a radiant floor heating system in your Saugerties home or business, call Precision HVAC today. Our courteous and polite staff is always happy to assist a local family or commercial property owner. Our experts would be excited to answer any questions that you may have about your property or our skills and services. We cans schedule your consultation or service call today. In most instances, properties are kept comfortable by traditional forced-air or single room heating devices. In the former instance, air is warmed at a furnace or other heating device then pumped throughout air ducts within the walls of the property. A great deal of energy is lost along the way, and the farther you get from the heater, the less comfortable rooms become. Radiant floor heating is the energy efficient alternative to this common problem. These devices are installed directly into the rooms in which they warm. Typically using hydronic heat channeled through pipes under the floor, these devices provide the exact level of comfort desired with minimal energy loss. Every room in the property will enjoy an enhanced level of uniform comfort. During the winter, our heating systems are responsible for over half of the energy that we use within our properties. As such, any improvement to the efficiency of our heaters can result in substantial savings. Installing radiant floor heating systems in your home or business is a fantastic way to reduce your annual energy costs. As stated earlier, the primary reason these devices are more efficient than forced-air heaters is that there is no energy loss while heat is being transferred to the rooms within your property. You are guaranteed to be pleased by the resulting savings on your utility bills. After our Saugerties heating contractors install your radiant floor heating system, we will always be available to provide for your routine maintenance and repair needs. Our professionals have the knowledge, skill, and experience necessary to keep your property comfort system in the best condition possible at all times. You can feel confident knowing that you are trusting your radiant floor heating with the best technicians in the area. If you need to hire a professionally licensed heating contractor who specializes in radiant floor systems in Saugerties, call Precision HVAC today at 845-399-0669, or fill out our online request form.